una selezione di vari marchi ! 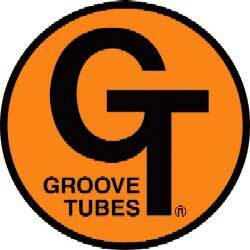 A high quality 12AT7 replacement from Groove Tubes. The 12AX7-C has a sweet mid range and works well in Marshalls, Fenders and other guitar amps. This tube is well suited for mellowing out the brightness of high gain amps while still retaining gain and definition. This is a reissue of the General Electric "clear top" tube, using the same machinery and some of the same materials as the original.